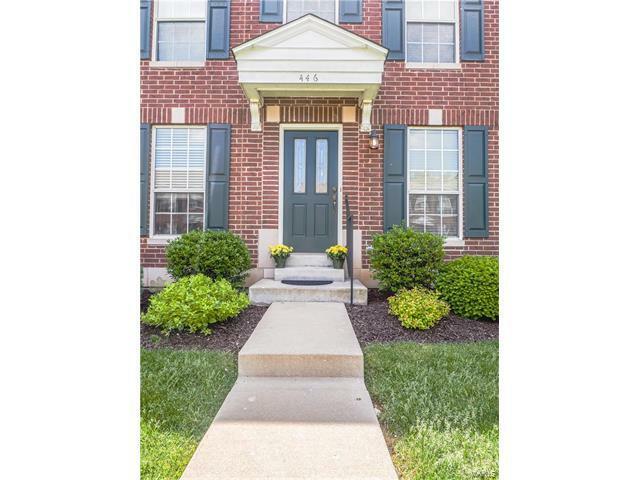 Fantastic Townhome in Very Desirable Location. Open and Spacious Floor Plan Offers Living Room or Could be a Great Dining Room, Eat-in Kitchen with Breakfast Bar, Pantry, and an Abundance of Cabinet Space and Leads to Private Deck Great for Summer Relaxing. The Spacious Main Floor Family Room is Conveniently Located Off the Kitchen, There is also a 1/2 Bath, this Completes the First Floor. The Second Floor Boasts 2 Master Bedroom Suites Each with Their Own Full Baths. The Lower Level is a Walk Out with Rough in for Bath and has a Finished Laundry Area and Access to the Garage and Lower Level Patio. Just Across the Street is Blue Bird Park with the Edge Aquatic Center, Outdoor Amphitheater with an Entertaining Summer Concert Series, Farmers Market, Walking Trails, Tennis Courts, Ball Fields, Playground and 2 Dog Parks. AAA Rockwood Schools.